Transforming healthcare and improving lives. Imo Health Systems employs highly trained and qualified Laboratory Scientists who perform and provide our patients with diagnostic testing. Our laboratory provides a full service diagnostic testing for inpatients and outpatients. All of our laboratories are automated with the latest equipment. 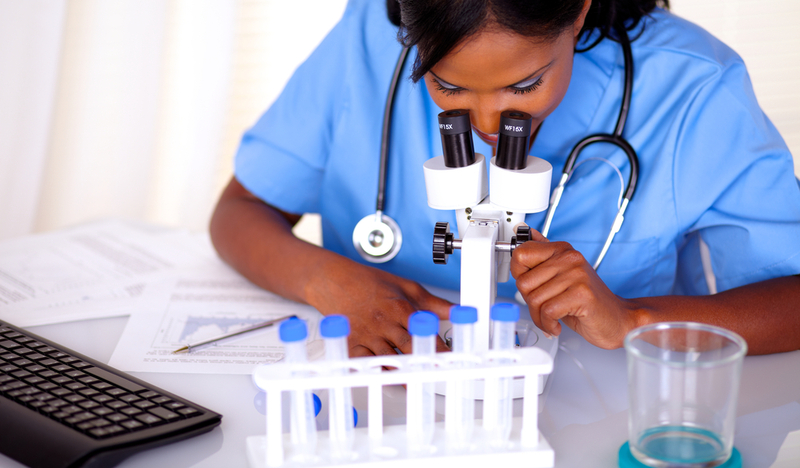 We perform Biochemistry, Microbiology, Hematology and DNA lab testing. This department offers state-of-the-art diagnostic pathology services while achieving excellence in pathology research and education. In other words, we are positioned to provide the highest quality laboratory testing and expert pathology diagnosis to patients institutionally, regionally and nationally. At Imo Health Systems the department of laboratory medicine strives to present a quality work environment that promotes unity and values diversity, teamwork and professional growth. We are committed to serve our patients, community and other research and health care partners. At Imo Health Systems we go all-out to change and improve health care provisions by fostering interdisciplinary collaboration, sharing expertise, and providing exemplary educational and scientific resources. We are a well-built clinical and basic science department and our research endeavors include basic science, clinical and translational research. We offer research leadership by identifying our strong research effectiveness and enhancing research productivity with careful allocation of resources. We guide and work together with our regional partners to develop the diagnostic pathology services throughout. In addition, our staff are our most priceless resource and are supported and distinguished for their accomplishments.